Last year, Carlchen W was a fresh face at the Palm Beach Masters. 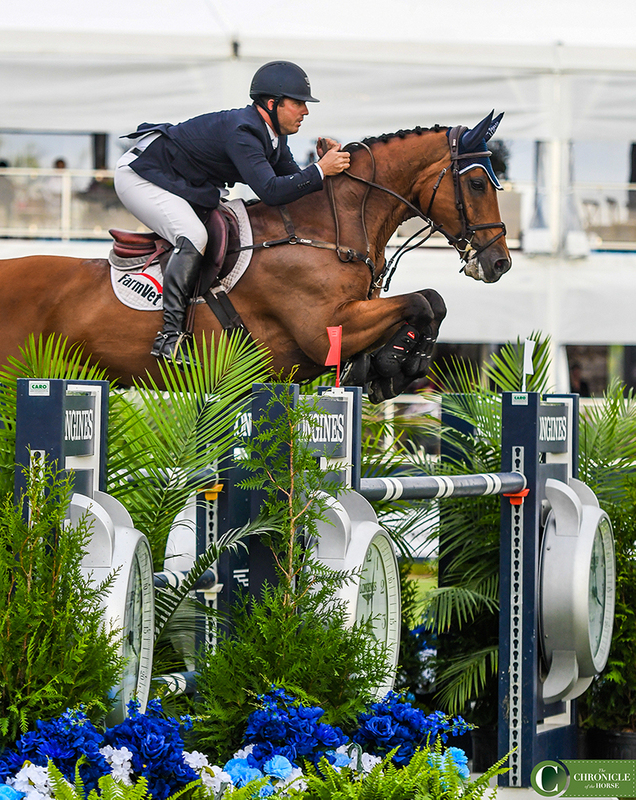 The now 11-year-old Mecklenburg gelding (Chacco-Blue—Celline-W, Continue) had been developing under the United States’ Alex Granato since he was 5 years old, and the Masters was his biggest undertaking to date. 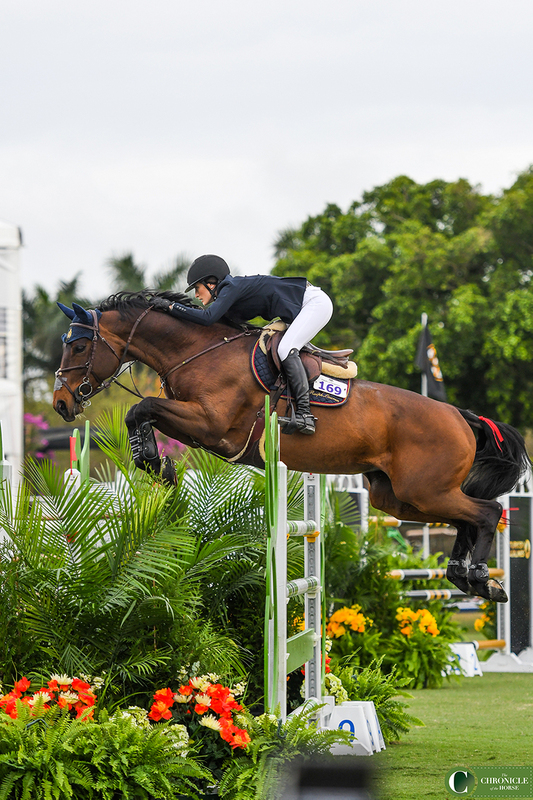 After finishing 15th in the 2018 $35,000 Longines FEI Palm Beach Masters World Cup Qualifier, the pair returned a year later to seal the deal. 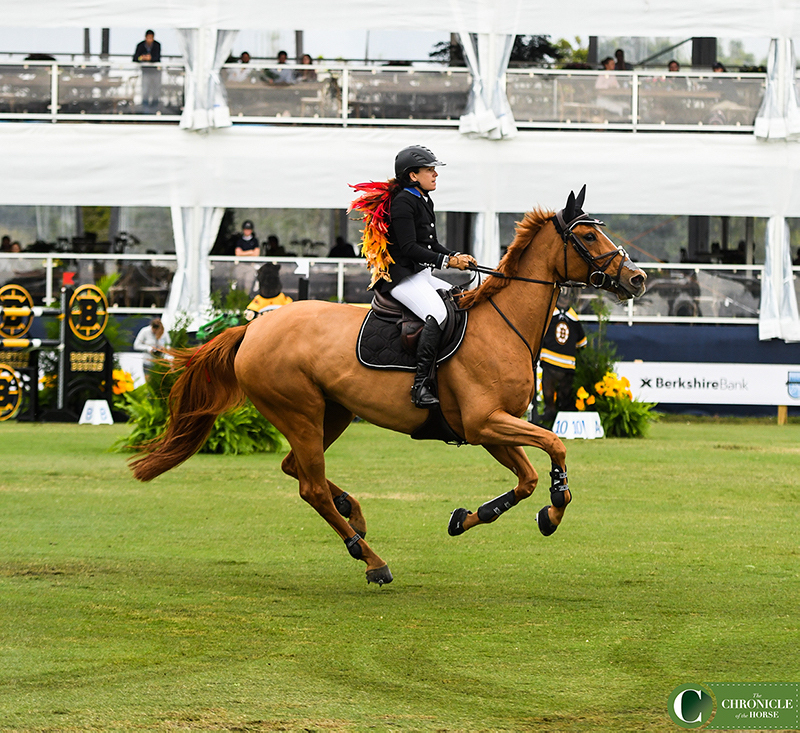 Granato and Carlchen W were in good company for the featured class of the day, held at Deeridge Farms, during the CP Palm Beach Masters. Fifty-one riders took to the Alan Wade course, with 21 qualifying for the jump-off. Granato won the class after crossing the timers in a leading 36.90 seconds. Israel’s Danielle Goldstein and Lizziemary came closest to pole position, finishing in 37.54 seconds. The 13-year-old AES mare has been on break since December, and the Masters is her first competition back. Danielle Goldstein’s Lizziemary was in top form during her first competition of the new year as she galloped into second. Jessica Springsteen closed out the top three aboard Fleur De l’Aube. Jessica Springsteen and Fleur De l’Aube were one of 21 clear rounds to finish third.